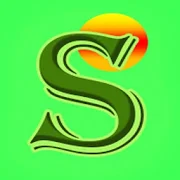 Sun-Shine Education was established on 6th June, 1994 with a vision to provide world class quality education to everyone and in the way to fulfil it, it has emerged as one of the leading educational platforms of the country. Our years of experience, thousands of selections in various Entrance Exams, a countrywide network of teachers, successful professionals and above all, the trust of millions of parents and students, have together made us a reliable educational group in the arena of focused and qualitative preparation for every aspect of career building from understanding the core interest of a student to helping them in becoming a successful professional. To provide a holistic guidance to the students, we provide career counselling and personal guidance to every student.